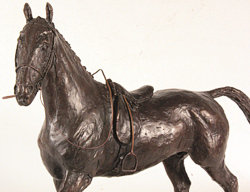 David Geenty is widely regarded as one of Europe's leading horse sculptors and his work is collected and cherished by many. Born in England in 1945 and brought up in Southern Africa, David Geenty's earliest impressions were formed on his father's ranch in the Gonarhezho, a vast wilderness in the south-east region of present day Zimbabwe. 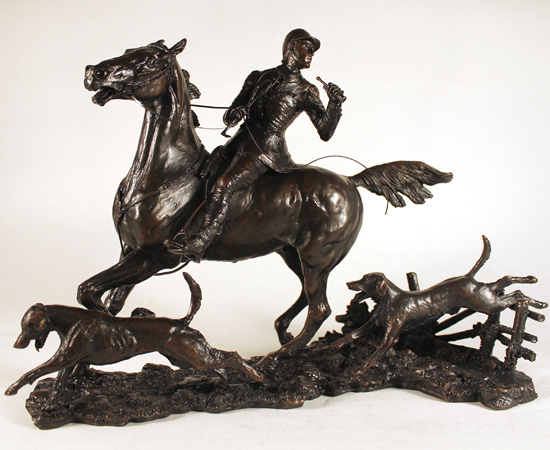 As an art student in Johannesburg, David Geenty was greatly influenced by Moses Kotler, a South African sculptor of world renown. David believes that it is to Kotler's tuition that he largely owes his great animalier talents and technique. 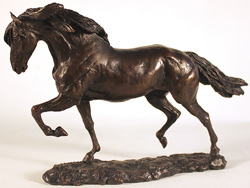 In his years as a sculptor, he has acquired a highly-regarded international reputation for both his wildlife and equine studies. 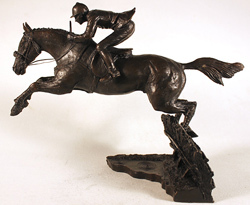 He has worked with leaders of the giftware industry such as Albany Fine China, Heredities and Border Fine Arts, and his equine work can be seen in the acclaimed Kentucky Museum of Racing History in the US. 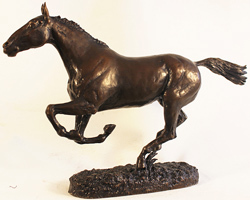 His abiding passion for the creation of lifelike sculpture is evident in all of his work, making each piece a treasured collector’s item. Please note that all David Geenty art listed in this section has previously been displayed for sale and is not currently available.